Looking for quality, affordable towing? If you have to have your vehicle towed, you’re already anxious about the unexpected expense and how you have to reschedule the rest of your day. The last thing you want is for someone to treat you poorly. 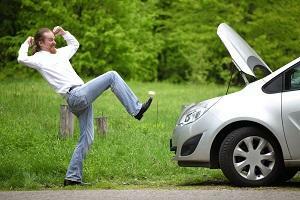 At Fife Service & Towing, we understand that this is a stressful situation. So when you choose us for towing in Bonney Lake, we’ll treat you with respect, dignity, kindness; the same way that we treat our own friends and family. Nobody wants to wait around for a service that they certainly aren’t excited for. That’s why we have several experienced tow truck operators ready and waiting for your call. And we make sure to get all the information we need from you the first time so that we can send the right type of truck for the job. You’ll be amazed at how fast and speedy our friendly service is! What kind of vehicle do you have? We’re ready for anything! While we can certainly pick up your sedan, truck, or SUV, our heavy duty tow trucks are prepared for much more. Have a semi truck or other commercial vehicle? No problem. Not only can we get your vehicle back home, but we’ll even make sure the cargo makes it where it belongs too! Have something unusual such as a bus, ATV, or RV? It doesn’t have to be a car for us to come and tow it for you! Off the road or in the water? We can still help! If you’re in an accident or fell asleep at the wheel, your car can end up somewhere you’d never expect it to be. You might be a good distance off of the road or even stuck in the water. It may seem that your car is all but lost, but don’t give up! With our industrial winching system, we’ve pulled vehicles out of many tough situations such as deep water, heavy snow, and thick mud. If it’s possible to retrieve a vehicle, we’ll be the ones that can pull it off! Stuck at night? You don’t have to sit out by your car the entire weekend; we’re open 24 hours a day, 365 days a year to help you get home safely. 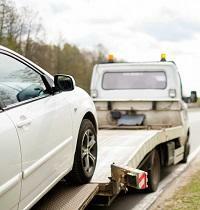 If your car stops working, it might not have to be towed! We offer emergency roadside assistance day and night for jump starts, lockouts, flat tires, and other common issues to alleviate your frustration. Need a car towed from your property? We’ll help you with vehicle impounding if you need it and handle all the paperwork and everything that goes along with the process, including angry drivers. We’re a family-owned and operated local business. We’ve been in the towing industry for over 65 years. We’re familiar with the region and are prepared for just about any towing situation that can happen! 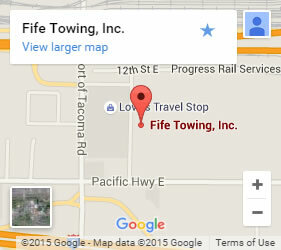 Call us when you need towing in Bonney Lake!